Home > Travel > SUN VIEW HOLIDAYS PRIVATE LIMITED organize everything. You don't need to worry about a thing. 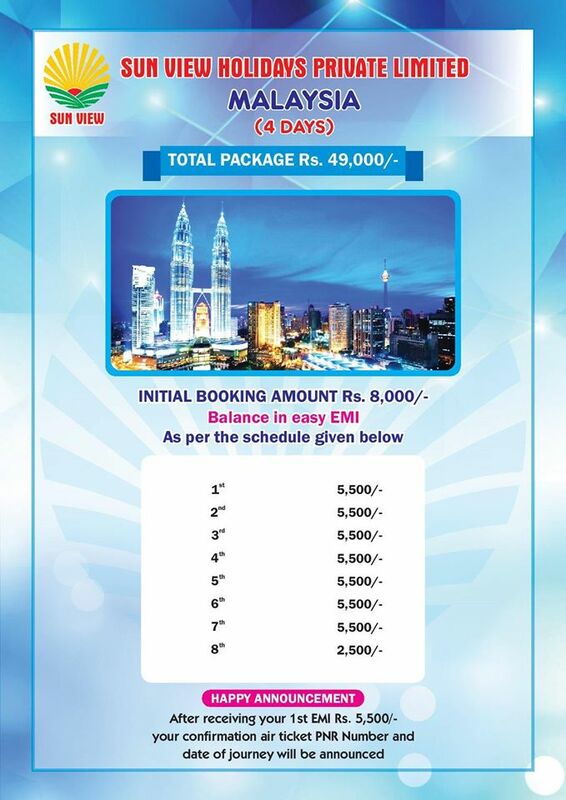 SUN VIEW HOLIDAYS PRIVATE LIMITED organize everything. You don't need to worry about a thing. We at sun view holidays offer package tours to dream destinations across the world with easy Equated Monthly Installment (EMI). All you and your family need to do is pick a destination and point at it in a global and relax! We will do everything for you. Right from the passport to visa,travel arrangements, hotels,foods and everything in between. We take care of it all. You can just pack your bags and travel in style. Passport, Visa, Air Tickets, Hotels/Stay food tour guide. Easy EMI,Easy Travel for Every time.